Trending is what happens on Facebook now. Millions of people use Facebook to share stories every second. 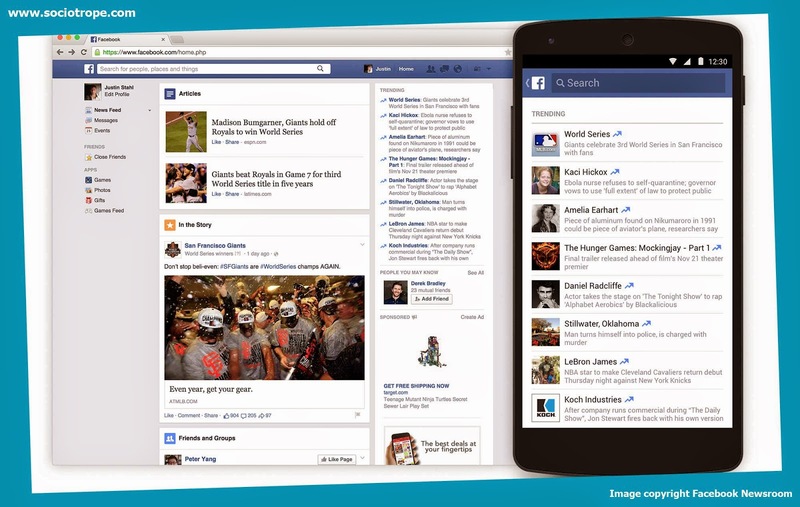 Now with updates to Facebook Trending you can find relevant conversations about popular news. Trending is available to mobile in the US for Android. Support for iPhone and the rest of the world will come soon. There are five different sections: Articles, In the story, Friends and Groups, Near the Scene, Live Feed.